The 44th season of “SNL” kicked off on Saturday with a surprise appearance by Matt Damon as Brett Kavanaugh in a parody of the SCOTUS nominee’s rants at Thursday’s marathon Senate hearing. Alec Baldwin, however, did not appear in the cold open sketch despite the fact that he is returning for a third straight season portraying Donald Trump. The sketch also included Kavanaugh’ general hostility toward the Democrats on the committee, as well as his repeated confessions of love for beer. “I’m a keg is half full kind of guy. But what I’ve seen from the monsters on this committee makes me wanna puke, and not from beer,” Damon said. Of course, the sketch also included a dig at Kavanaugh’s claim that he was a virgin through high school and for years after. “I was the proudest, drunkest virgin you’ve ever seen!” Damon exclaimed. 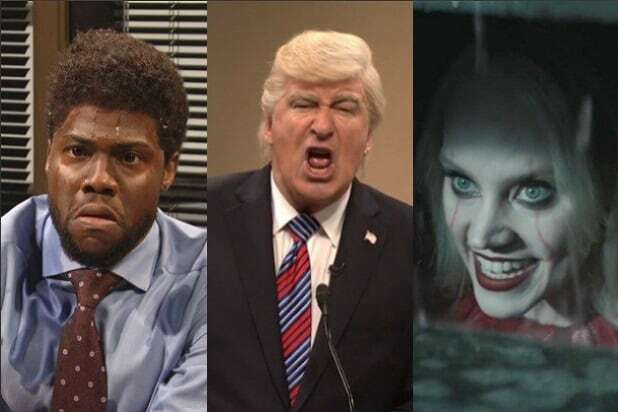 Also appearing in the sketch, which ran about 13 minutes long, were “SNL” cast members Kate McKinnon as Lindsey Graham, Cecily Strong as Dianne Feinstein, Alex Moffat as Chuck Grassley, Aidy Bryant as prosecutor Rachel Mitchell. And a cardboard cutout of Alyssa Milano as Alyssa Milano.